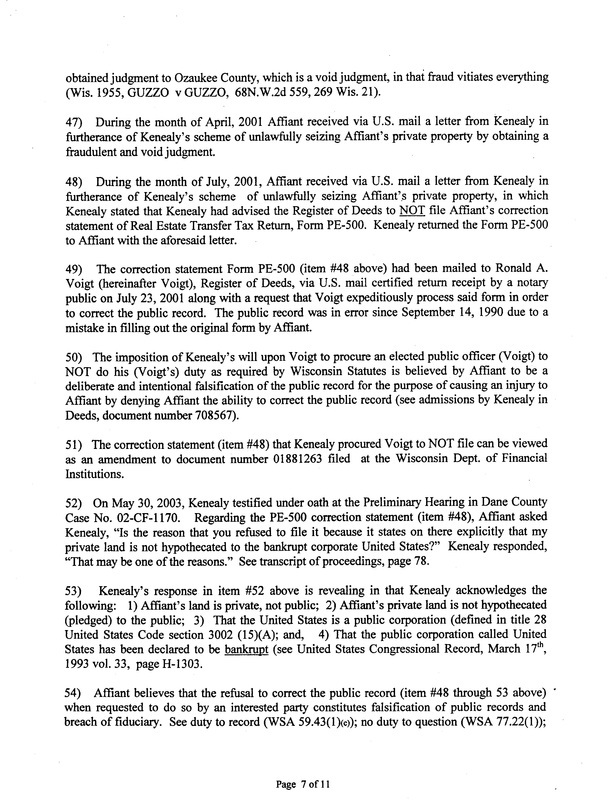 Property Rights Advocate Steven Magritz had repeatedly given Notice to the Public Officers, the members of the Ozaukee County MOB regarding the criminal acts of Corporation Counsel Dennis E. Kenealy, to which they turned a deaf ear and a blind eye, and for which Magritz was labeled a "paper terrorist". 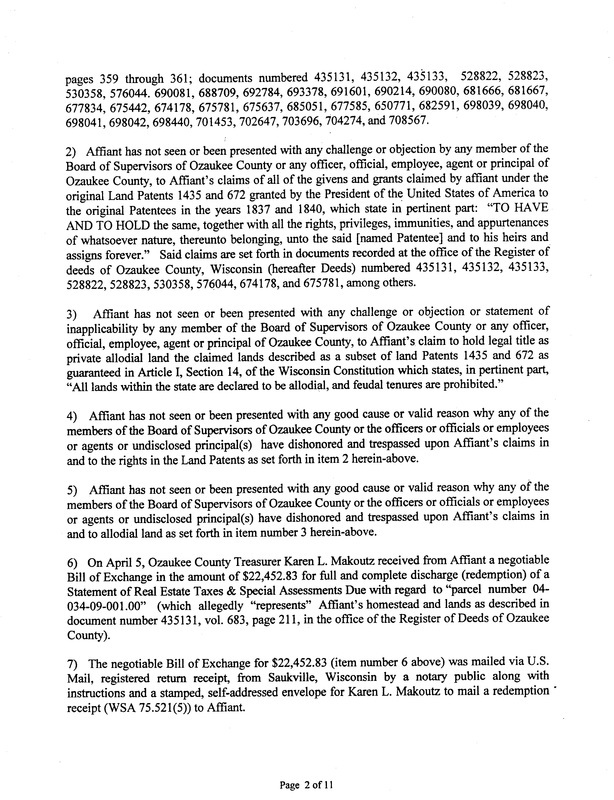 Magritz repeatedly Noticed The Ozaukee County MOB of the stealing of the Private Property of Magritz by way of a violent 24 member SWAT Team attack led by "Maury" Straub, which was based solely upon the criminal acts of Shyster attorney Kenealy. 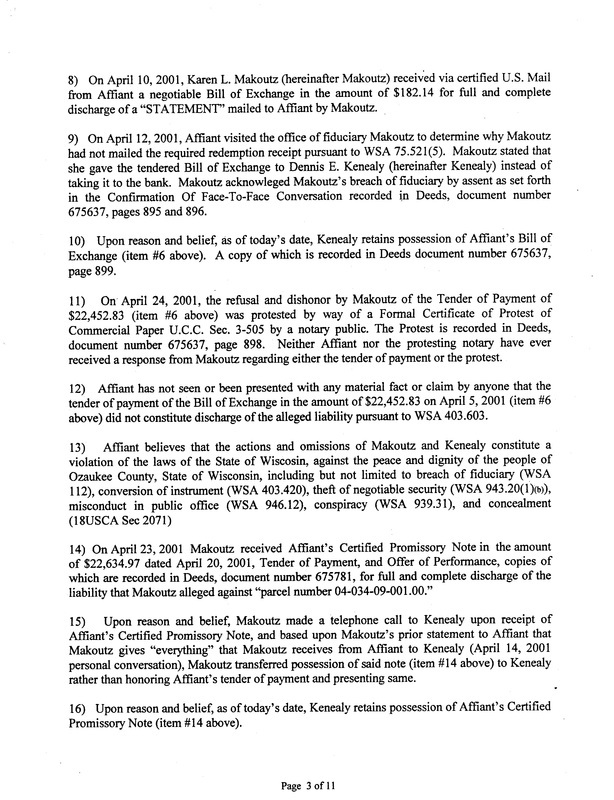 On October 7, 2002 Magritz had filed a Criminal Report with the state prosecutor, Sandy A. Williams. 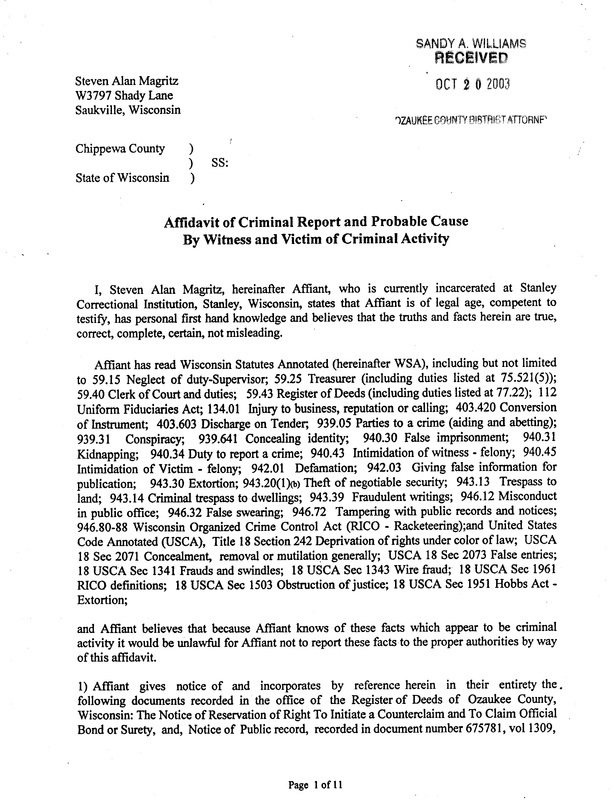 In 2003 Magritz again filed a Criminal Report with the state prosecutor, not that it really made much difference, since The Ozaukee County MOB, which included the state prosecutor, was going to steal, and did steal, the pristine, wooded, river frontage, Private Property and put Magritz on ice, preferably for life, come hell or high water. 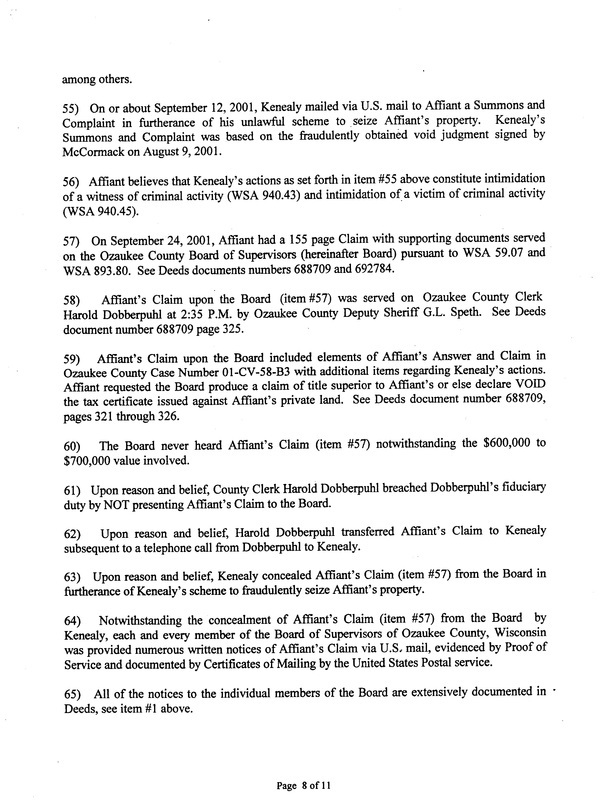 And the rest of the power structure of The Ozaukee County MOB was going to protect Shyster attorney Dennis E. Kenealy, no matter what. 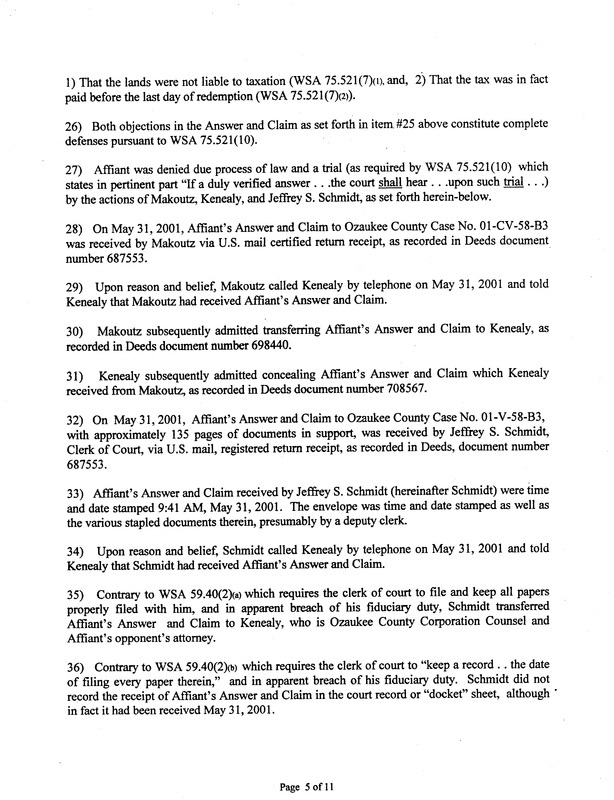 However, in 2003 Magritz filed the following "Affidavit of Criminal Report and Probable Cause By Witness and Victim of Criminal Activity" with the local prosecutor, District Attorney Sandy A. Williams, to record for posterity whether or not the District Attorney would act with honesty, integrity, and good faith, or act in breach of her fiduciary duty as a Trustee of the Public Trust and act in insurrection against the Constitution. 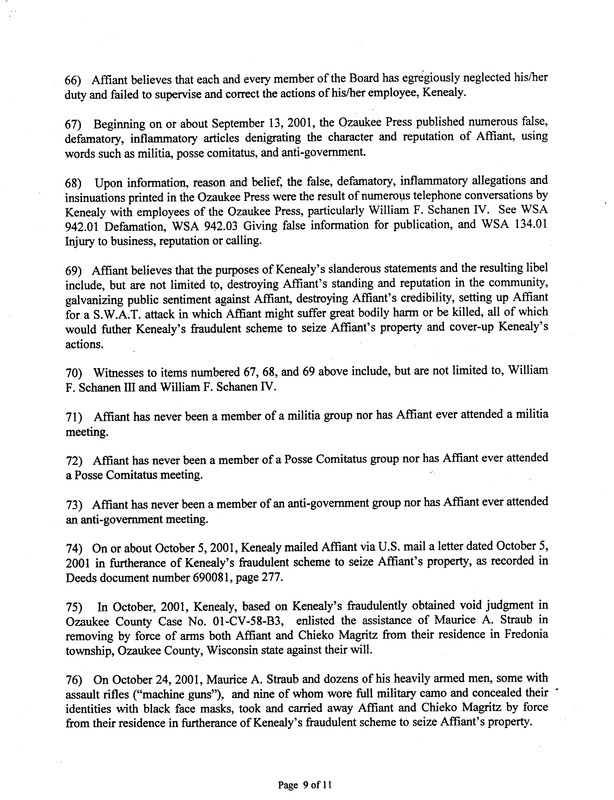 Sandy A. Williams chose to protect her buddy, Shyster attorney Dennis E. Kenealy, and the rest of The Ozaukee County MOB. 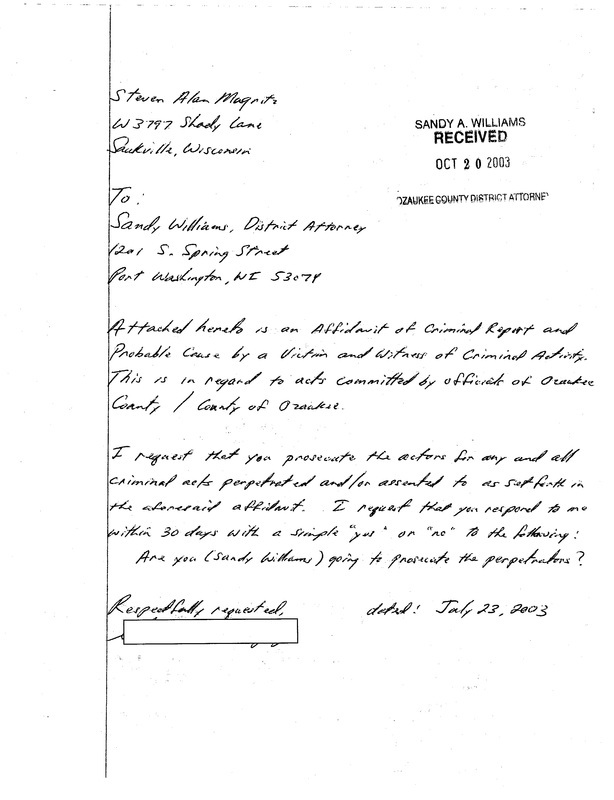 Sandy A. Williams chose to perjure her oath of office. Sandy A. Williams chose to breach her fiduciary duty as a Trustee of the Public Trust. Sandy A. Williams chose to act in insurrection to the Constitution. AGAIN. As an aside, the District Attorney's office now refuses to provide a date stamped copy of an Affidavit of Criminal Report to the person filing the Affidavit if that "person" happens to be Property Rights Advocate Steven Magritz. This refusal to provide acknowledgement of the filing of a complaint against a Public Officer provides the District Attorney with plausible deniability. There is little or no evidence that a complaint has ever been filed, who was complained about, or what facts the complaint stated. It is also called, protect The Ozaukee County MOB at all costs. How many ways can one spell "misprision of felony"? 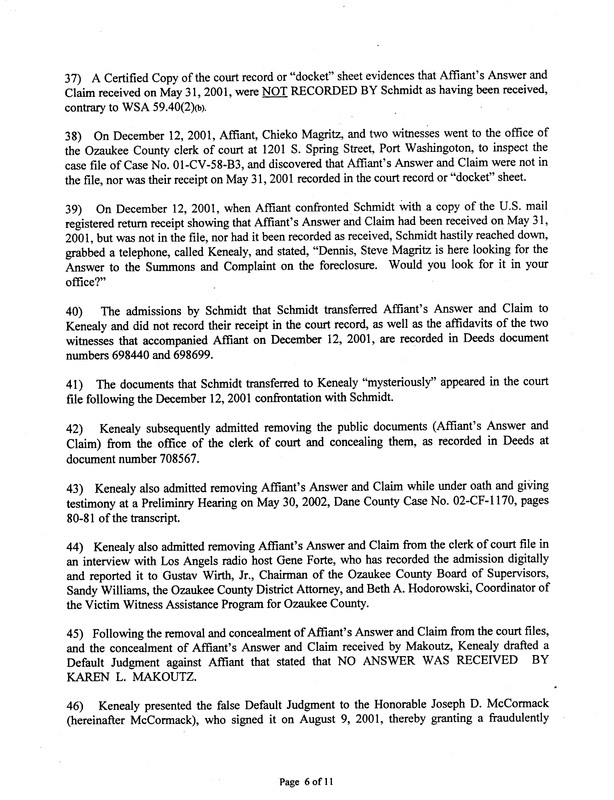 When Magritz requested a file-stamped copy of his Report of Criminal Activity By Victim/Witness in 2011, the D.A. 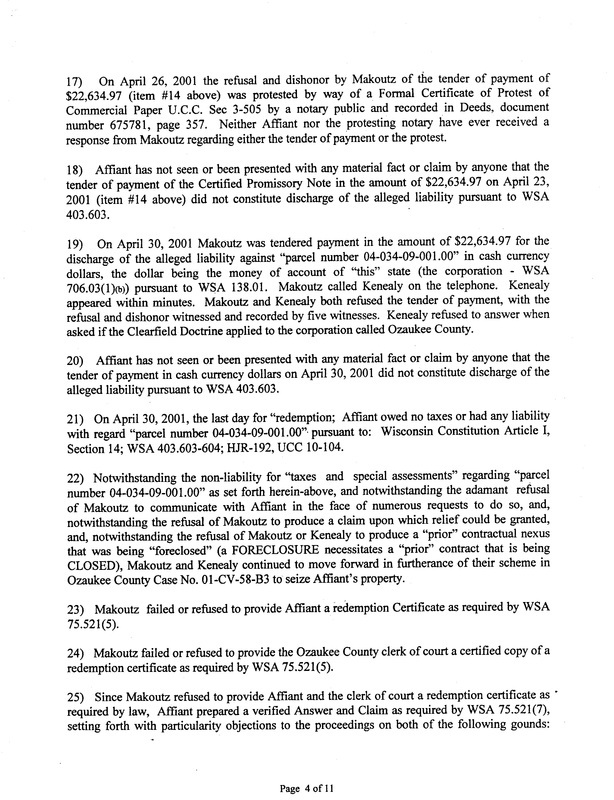 's office summoned one of Lawless Sheriff Maurice A. "Maury" Straub's deputies and had Magritz escorted out of the building. Did they die in vain?